The Limes is a Georgian period building which has been awarded 5 stars by VisitEngland and has achieved a Green Tourism Gold award. It has traditional sash windows and views overlooking the Norfolk countryside and the Norfolk Broads. The large romantic double bedroom, with king sized bed, sleeps 2 and has the unusual feature of a large, freestanding bath in the bedroom. There is also a shower wetroom if you prefer. The shaker style kitchen is compact but has been designed to the highest specifications, and includes a traditional butler sink, electric cooker, dishwasher, fridge freezer, washer dryer and a dining area for 2. The sitting room overlooks the garden and has a large woodburning stove. There are games and books you are welcome to borrow (including chess and boules) and a large television and a DVD player. A starter pack of wood for the woodburner is provided free of charge. The Limes has a sunny and secure private garden with a patio terrace, seating and BBQ facilities. Limes Farm was converted in 2012 to the highest ecological standards and offers idyllic self catering accommodation in the heart of the Norfolk Broads. All accommodation has been awarded 5 stars by Visit England and has recently been awarded the Green Tourism Gold Award for sustainability. The properties are set in a peaceful hideaway setting, surrounded by fields and the Broads National Nature Reserve is literally on the doorstep. Beaches are just 15 minutes away. 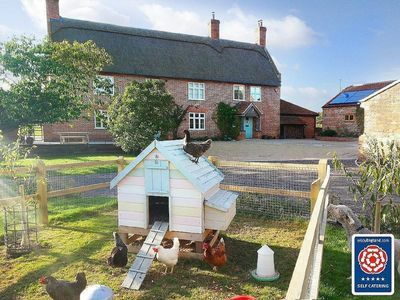 Limes Farm is the perfect base for your Norfolk holiday. Each property has it's own individual character, and all feature a wood burner which compliments the geothermal underfloor heating. A starter pack of wood for the woodburner is provided free of charge. All the properties have their own garden areas. 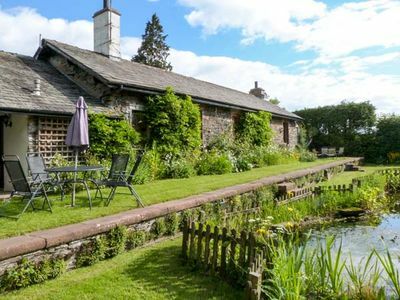 The Limes has an enclosed sunny garden with patio area, Limes Farmhouse has a large paved patio outside the kitchen and Limes Farm Cottage has a fully enclosed garden. All properties have their own BBQ facilities. There is also separate orchard area with a wooden swing frame for all guests' use. There is free internet access available. Ample parking is available. There are games and books you are welcome to borrow and a large television and a DVD player in each property. One or two well behaved dogs are welcome in Limes Farmhouse and Limes Farm Cottage by prior arrangement.